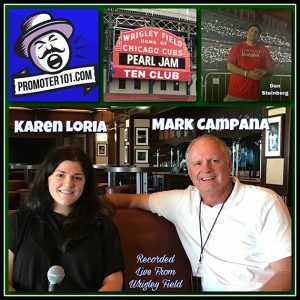 This week on Promoter101 The Podcast we’ve got Live Nation Concerts Chief Operating Officer of the US Concert Division Mark Campana & Pearl Jam Ten Club’s Karen Loria recorded live from Wrigley Field, the home of the world famous Chicago Cubs. 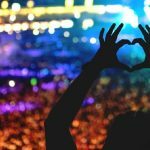 Ticketmaster David Marcus joins us to break down the new technology that Ten Club is using to service their fans. 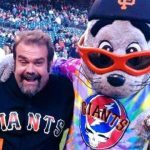 And News of the Week with Emporium Presents’ Dan Steinberg and Billboard / Amplify Media’s Dave Brooks. Plus Special Guest Co-Host From Rocks Off Jake Szufnarowski.